After lighting rural areas of South Africa, solar-powered lamps ‘Little Suns’ will now illuminate homes in interior parts of Western Rajasthan. As many as 200 ‘Little Sun’ lamps have been put on display at a three-day exhibition, which began here yesterday at Mehrangarh Fort, and will be distributed among villagers in rural areas at the end of it. 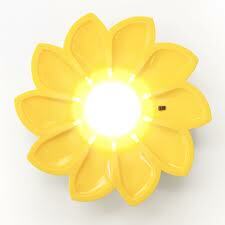 Little Sun is a solar-powered hand-held lamp in the shape of a sun with a shelf life of three years. It emits light for five hours after being exposed in the sun for the same amount of time. The lamps have been created over a period of three years by Icelandic artist Olafur Eliasson, who is now taking them to off-the-grid areas of the world to illuminate them up with solar-powered light. Director of Mehrangarh Museum Trust, Karni Singh Jasol said the exhibition jointly organised by the trust and the Museum of Fine Arts in Houston is also an effort to bring awareness among people about solar energy and its applications. “The Little Sun launch in Jodhpur is the first step in a collaborated plan of distributing Little Suns to remote communities in the state of Rajasthan and India,” Jasol said. After the exhibition, these lamps will be distributed in remote villages and institutions in Rajasthan through CSR departments of various companies, he said adding that each lamp has been provided for the purpose at a subsidised rate of $11 (Rs 595.8). Jasol informed that this is just a beginning of a unique initiative in the city, which is all set to become a solar power hub. “IIT—Jodhpur and energy companies like Cairn India and Suzlon working in Rajasthan have evinced great interest in this feat,” he said. IIT—Jodhpur will be collaborating with the project as a technological partner and will work on developing a cheaper option with higher efficiency, whereas Cairn India and Suzlon have agreed to purchase it at subsidised rates and distribute them in villages as a part of their CSR activities.